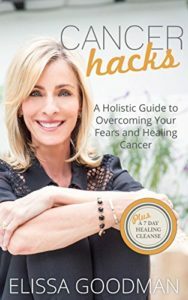 The certified holistic nutritionist talks about eating clean, cancer hacks, and looking forward to margaritas with friends. 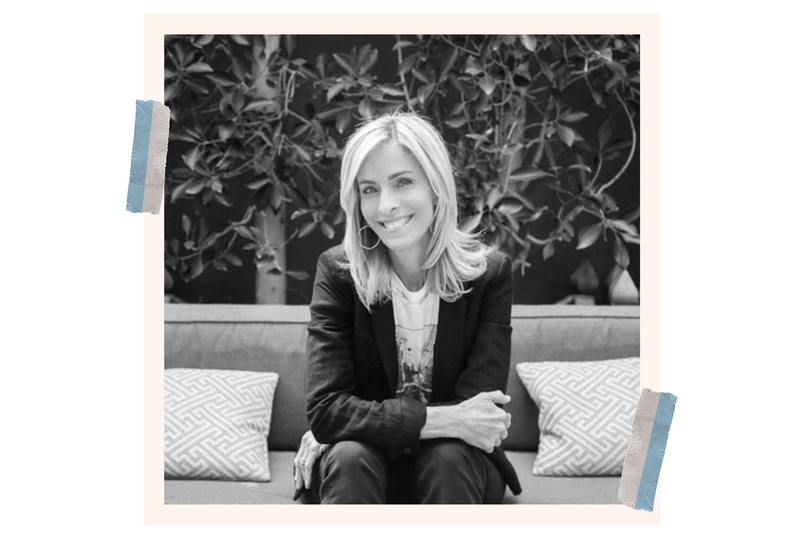 Elissa Goodman is a certified Holistic Nutritionist based in Los Angeles, but it is her own personal experience with cancer that set her on a path of learning. In addition to all the light she shines on healthy, mindful living she insists that dancing by herself to Justin Bieber (no joke) a little each day, is her real secret to a happy life. You combined holistic medicine and traditional medicine to fight cancer. Let’s talk about that. My story is that growing up I never was well. I got every illness you could ever imagine. I always felt like something wasn’t quite right. In my 20’s in NYC, I was still sick –the weather, the stress, the race to keep up. When I got married, I told my husband I just couldn’t do it anymore. I said we were moving West. We came to L.A. and I got my dream job with Vogue. Six months later, I was diagnosed with Hodgkin’s Lymphoma. I burst into tears. “I’m so miserable and I never feel good.” He said, “I think we can take care of this without being so aggressive and found a radiologist who did half the radiation. I went into therapy to deal with my toxic mind and I started meditating to calm my system down. I did yoga. I went vegan and juiced every day. I’ve been cancer-free ever since. I had two daughters and then 11 years later my husband was diagnosed with non-Hodgkins Lymphoma. The doctor kept telling him it was nothing to worry about. We ended up at City Hope where he got fungal pneumonia and passed away. When and why did you decide to make holistic nutrition your career, instead of just the way you live your life? I was looking to start a new career and a friend asked what I loved, and I said I was dabbling in nutrition and the light bulb went off. I went back to school and got my degree in Eastern/Western nutrition. Two years of studying biology, herbal remedies, native diets, flower essence remedies, and acupuncture . After I graduated, I started doing cleanses for Cafe Gratitude, M Cafe, and Erewhon. Cleansing got me into this career. I created my own soup cleanse. I don’t love anything about deprivation or starvation. You can change how you feel in five days by taking out sugar, gluten, dairy. We have homemade protein bars and bone broth. Salad two days a week with two different dressings, and pumpkin breads. Tumeric latte at night and tonic in the morning. And lots of soups of course. Cleansing sounds intense–how often do you do it and for how long ? Great question. Firstly, it shouldn’t be called a cleanse! It’s just a healthy eating regimen. It’s for people who are busy and want healthy food . I’m not against animal protein. I love to go out. I do need a good(grass fed) burger every once in a while. This regimen is just really for people who don’t feel so great and want to reset their system and want to be nourished. What happens after five days? I give out all the recipes–and tell them to try to keep eating REAL food. It’s easy to get salads or soup. Our body only digests so much protein per hour per day–we tend to overdose on the protein. Just make soups and salads at home. I want clients to tap into what they are feeling and make eating more of a lifestyle choice. They’re going to go out, but if they feel badly after, this gives them a blueprint. 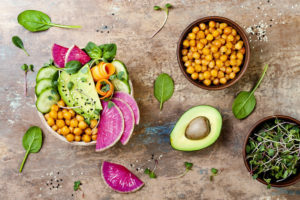 What’s your advice for someone who has no experience with holistic eating and might be a little intimidated? One small thing they can introduce everyday? I’m a big juicer. I don’t think we get enough veggies. So I do a lot of greens–celery has mineral salts that detox the liver and rebuilds acid in your gut. Cucumber cleanses the kidneys. Add a little lemon and ginger and that’s it! If I could recommend one thing, it would be that. It nourishes you on a cellular level. As women of a certain age, are there certain vitamins or nutrients we should be focused on? Most of us, especially with empty nests have gotten a little lazier about cooking. We’re eating out and we don’t know where the food comes from. Home cooked meals filled with love and fresh vegetables have gotten away from us. We need to go back to the basics of eating real foods and live enzymes and lots of veggies. Also, sleep is crucial. Most of my clients come in and they can’t sleep and everything is out of whack. Sleep is everything. Okay, let’s get serious: is it still okay to have some tequila and wine and coffee? First of all, everyone needs to know about Casa Dagrones–tequila is my drink of choice and that is just the most amazing brand. I feel better if I’m drinking good tequila. Wine hasn’t aged so well with me. I love tequila, I love coffee, I love to entertain. Everything in moderation. I’m a flexatarian–I eat a little bit of everything but I try not to eat too much dairy or sugar or gluten. But if I go to a friend’s house and they offe have a cheese plate and a glass of wine, how can I say no to that? Any alternatives to that cheese plate? There are a lot of dairy alternatives–almond, cashew cheese spreads that are amazing and becoming more well-known. So you can make things creamy and use a nut cheese as a ricotta. A better form of dairy is grass-fed butter because of the omega 3s. Ok, so what are the three things I need to start doing today? Cut out the sugar, gluten, and dairy. That’s huge. And eat real food. And then the third thing is the juicing, which is like an IV of vitamins and minerals. It’s simple. We just need to break out of our ruts or patterns. Is it true the first thing you should do in the morning is drink a glass of water? Between 10 pm to 2 am, the body resets itself. It’s been working so hard that we should really reach for water instead of tea or coffee first thing. I do 16 oz. of water first thing with liquid minerals. I like Eidon, an ionized liquid zinc. Silica, which is the precursor to collagen. There’s a mineral hydrating Ultima Replenisher, sweetened with a little Stevia. You’ll notice a huge energy lift and it curbs your appetite. Vitamins can be so overwhelming. Can you just tell me what I should be taking if I can only handle two and why? Omegas are crucial. I take those at night, and eat fish too. Liquid drops of B complex or B12 for stress, in the morning. It increases your energy. My favorite is Global Healing. I take probiotics because you can’t get enough of the good bacteria. Vitamin D is important. And then I’ll add a Calm magnesium powder. Finally, what would someone be surprised to know about you? Don’t worry, we’re not trying to embarrass you. One thing I do that feeds my soul is I love to dance! I’m a terrible, terrible dancer but I dance in private. I try to dance a little bit every day. This is the embarrassing part–it’s always Justin Bieber or Justin Timberlake. 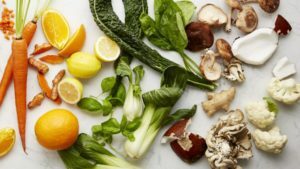 Check out Elissa’s Blog & 7 Day Cleanse.